Migration flows are deeply changing the composition of classrooms — between 2003 and 2015, the share of students who had either migrated or who had a parent who had migrated across international borders grew by six percentage points on average across OECD countries (PISA data). 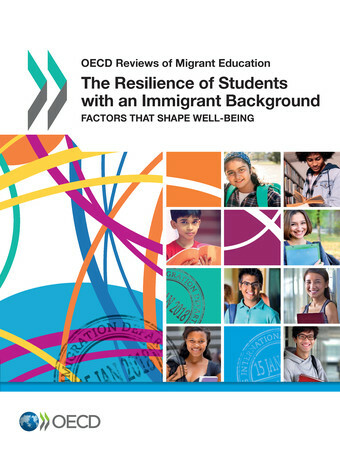 This is why the Organisation for Economic Co-operation and Development has published a new report about some of the difficulties that students with an immigrant background encounter: The Resilience of Students with an Immigrant Background: Factors that Shape Well-being. This publication explores the role that education systems, schools and teachers can play in helping these students integrate into their communities, overcome adversity, and build academic, social, emotional and motivational resilience. With this aim, it provides an in-depth analysis of the risk and protective factors that can undermine or promote the resilience of immigrant students, drawing on data from PISA and the European Social Survey (ESS) to identify both the risk factors that prevent immigrant students from successfully integrating and the protective factors that enable these students to thrive. Click here to access the full publication in English, or follow this link for more information about it. The report is also available in French.